Andean Rhythms, Latin Favorites & More! Welcome to the official site of the musical group TINKU. 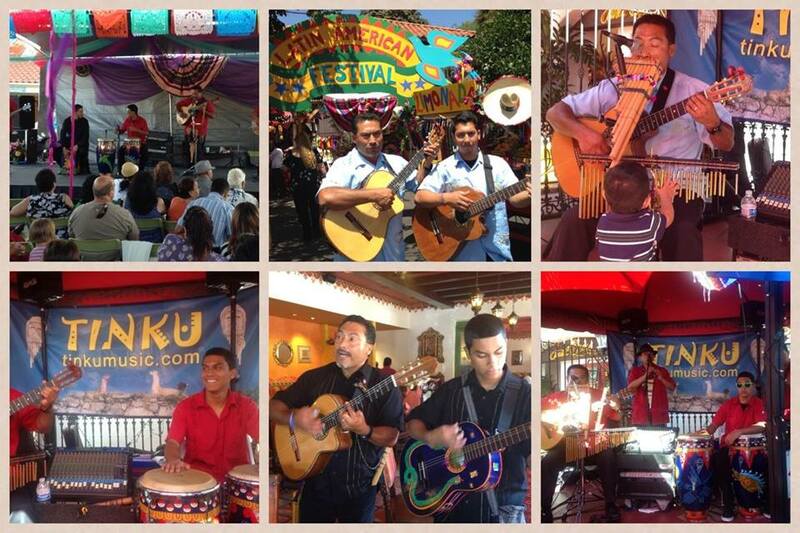 Since 1995, TINKU performs World & Folk melodies with a focus in Andean Rhythms, Latin Favorites & more! TINKU counts with over 100 song selections & 19+ musical rhythms from over 12 countries. They incorporate a variety of authentic native instruments and count with artists who are multi-instrumentalists; always offering you 100% live musical acts... Celebrate your child's rite of passage (Bar/Bat Mitzvah; Quinceañera; Sweet XV); a significant milestone (Graduation, 18th & 21st Birthdays) and other superb life moments (Engagements, Weddings, Anniversaries, Family Reunions). Or simply surprise a loved one with a Serenade. TINKU also tailors to Corporate events and counts with a great selection of Covers & Holiday music. Choose from One-Man-Band, Duo or Trio! LATEST NEWS UPDATE: TINKU's music is now on your favorite digital store sites!